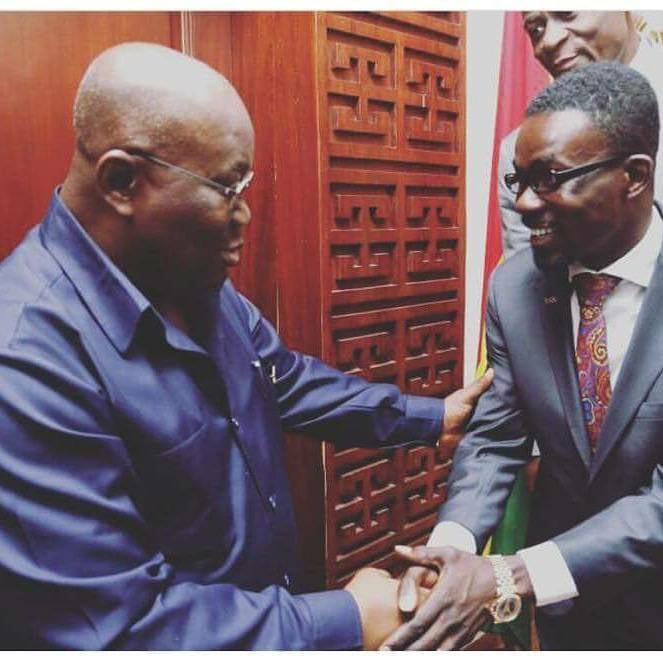 Shortly after the Menzgold fraud was uncovered, pictures emerged of President Nana Addo Dankwa Akufo-Addo with the alleged fraudster NAM1. Before this case, we saw pictures (photos) that showed the President posing at global events with large business delegation that included known fraudsters. There are also photos that showed President Akufo-Addo posing at a forum in China and Nigeria with some Ghanaian and NigerIan businessmen that included the Chief Executive of Menzgold, who is at the center of the unfolding scandal. This is enough for our opponents to question the President’s commitment to rooting out corruption-a key part of his pitch to voters. When we hinted party officials of the disaffection this development was causing among members of the party in the United States and Europe, government officials said these known fraudsters and spammers were just part of a separate, non official business delegation and that the President had only stopped by for a photo. Our checks however,revealed that these persons were part of the President’s official delegation to these international meetings. We raised these issues and insisted it ended because of our genuine fear that these fraudsters some who were deported from the U.S and Europe because of their nefarious activities, were going to disgrace our President and the party. Two of the Nigerians who joined the President’s team to China are known fraudsters who operate in almost all the countries in West Africa. The Menzgold saga could deliver a big blow to the President’s image and our anti corruption bonafides. Whatever response government gives will be subjected to ample scrutiny in Ghana and beyond, not just because the President claims to be incorruptible, but because of his close ties to these known scammers who have direct access to him. In addition to the photos, people are also looking to undermine our party and government with videos from 2017 of the President having closed door meetings with some of these scammers. The Menzgold saga is a complex scandal unlike straight bribery allegation, which further gives the opposition an opportunity to spin it. During his last visit to the United States, I cautioned the General Secretary and some of officials of the Party and government about this development and the dangers it poses to our survival as an organization but it seems it was jettisoned somewhere. We have authentic dossier(s) on some of these persons who are operating around the President. We wrote to the President through the Chief of staff and copied the Chairman of the Party and the senior minister – to be cautious of scammers around him. Some of them in collaboration with their Nigerian partners were the ones who scammed President Kufour and made him believe that he was making headway, but at the end made things difficult for us in 2008. We advised the President that every person around the President and his officials be subjected to proper security screening to avoid what we witnessing. Those doing genuine businesses including some party folks who supported our campaign between 2012 and 2016 are going through serious challenges because of these fake businessmen. People who strongly condemn these negative practices are branded pro-Kufour elements. The President’s aides and his security capos cannot tell me and other discerning minds that they didn’t know that NAM1 is a scammer. Some of us who knew his dealings questioned why the President dignified his activities by hosting him and Nyantakyi at his abode. Our advice to President Akufo Addo is that he should be careful of these scammers and fraudsters who have taken over the presidency, and reach out to some of us to tell him those who are the scammers around him.